This entry was posted in Space and tagged Comet 67P/Churyumov-Gerasimenko, ESA, European Space Agency Rosetta Mission, NASA, Rosetta's Crash Landing, space. Bookmark the permalink. If Rosetta is anything like its offspring Philae, it will probably smash into pieces that will bounce around like grasshoppers. 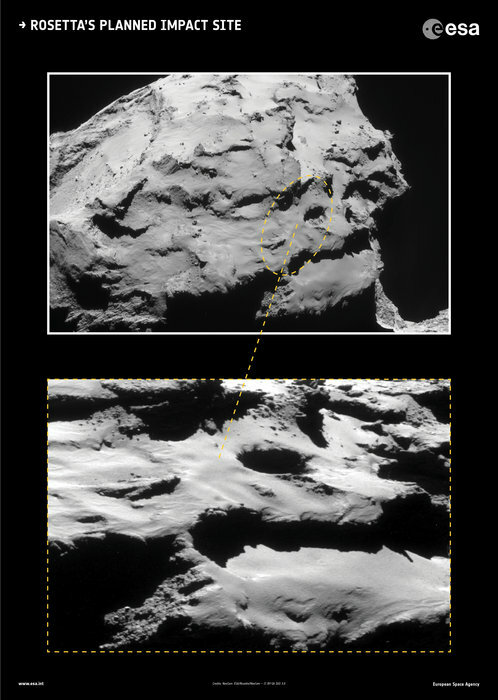 Way to go Rosetta! This must be the first spacecraft whose demise is a celebration!